Channel Glazing are a south coast based glass and double glazing company, We are a family run business and have been established since 1996. We are also well known for our quality mirrors and keen prices, we have our showroom based at Beaconsfield road on the main road in to Brighton Town Centre,we also have a limited amount of parking available at the front of our shop so you can come and browse at your leisure. We have been selling mirrors for fifteen years so we know what people are looking for and update our stock every month,so your guaranteed a great choice from our collections. We have a map on our website giving you the directions to our shop,so feel free to use our website in any way you deem fit. At this moment we are not able to catalogue our mirrors on line,but having said that from personnel experience we find choosing a mirror is down to individual taste. 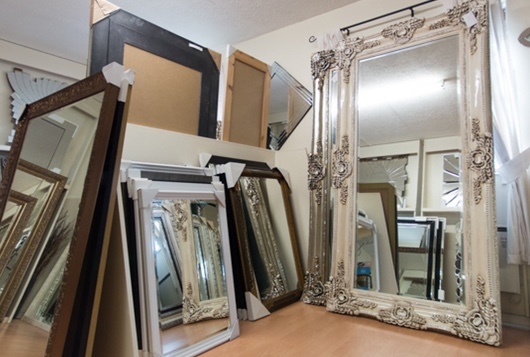 Please feel free to call in anytime to view a large range of mirrors,our friendly staff will be more than happy to assist you in your selection.